.. but ultimately that’s how he felt about Accelerate. Besides, he was already busy enough and didn’t have time to figure out what this Accelerate buzz was all about. But when he overheard yet another friend mention Accelerate, he decided to get his questions answered. My friend recommended you guys recently. Forgive my skepticism, but I did have a few questions about Accelerate. You guys offer an interesting service. From what I understand, you guys provide pastors with book summaries of theology books so they don’t have to read the entire books. I applaud your effort to assist pastors because we certainly do struggle to keep up with all the books we feel obligated to read (a.k.a. recommendations from friends on social media haha). But I have a few concerns. I am worried that providing a microwave solution to learning won’t help the Church in the long-term. There isn’t a shortcut to learning and meditating on deep truths (think Calvin’s institutes or Augustine’s Confessions). I suspect that Accelerate will encourage pastors to cut corners and do a disservice to the authors, their congregation, and themselves. Forgive me if my tone sounds harsh (totally not my goal). I’m sure your intention behind Accelerate isn’t to erode the discipline of reading. I honestly was pleasantly surprised by how helpful your summary on You Are What You Love was. (By the way, do you have a summary of Lewis’ The Problem of Pain? Would love to see how your summary compares with my memory of the book — since I just read it). All in all, I’m just having a hard time seeing how substituting reading with your book summaries will really help, and not hurt pastors. We truly appreciate you actually taking the time to even share your concerns with us (as opposed to writing a dismissive comment on our Facebook #notcool). To get straight to the point, we absolutely do not encourage using Accelerate Book Briefs as substitutes for reading. 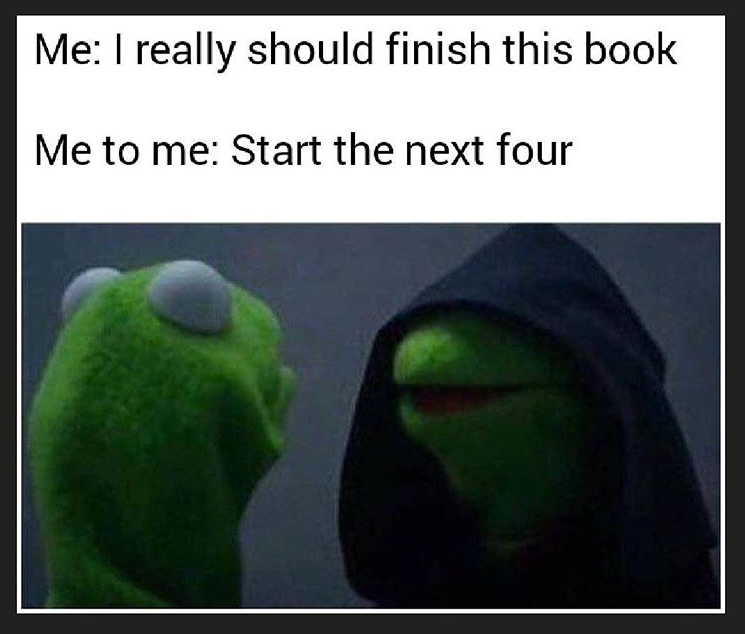 Most of our summary writers are pastors themselves and all the members of our team are avid readers (we still struggle to resist buying 5 books at the bookstore each visit. In fact, the following is an actual picture of our lives). So, we agree 100% with you: there is simply no alternative or shortcut to reading deeply and wrestling with truth. That said, the inspiration and vision for Accelerate arose not from having too many books and needing a shortcut… but rather, from our having read too many books and struggling to convert all that information into transformation. Does that make sense? For example .. we would have our noses in 2-4 great books a week, but then soon struggle to recall most of what we learned a few months later (not to even mention putting it into practice). So, using a college-ruled notebook, we started creating these “book briefs” as we called them. We wanted a way to record the main insights and arguments from all the books we read so that a month or two after we read the books, we could use this notebook to refresh our memories and quickly access these insights. But we soon had a problem. Our book briefs were starting to be the same length as the books themselves, which defeated the purpose (we would need book briefs… for our book briefs). “Brevity is the brother of brilliance” as Chekhov said. Recalling that Theodore Beza said he could summarize the entire Christian theology on one page (which he did), we decided to limit our book briefs to the top 3 Key Insights that would effectively capture the essence of the book. (Psychologically-speaking, it’s also been said that 3 items is the average number of items the brain can remember about a certain topic). And voila! That’s how our Book Briefs were born. We’ll wrap up this email with an (extended) metaphor, if that’s alright! We don’t recommend leaders substituting books with Accelerate Book Briefs for the same reason that health coaches don’t recommend bodybuilders substituting real meals with protein shakes. But if you’ve ever been serious about weight-lifting, you already know the importance of taking protein shakes to supplement your diet. That’s why you see bodybuilders dragging around huge containers of protein supplements. 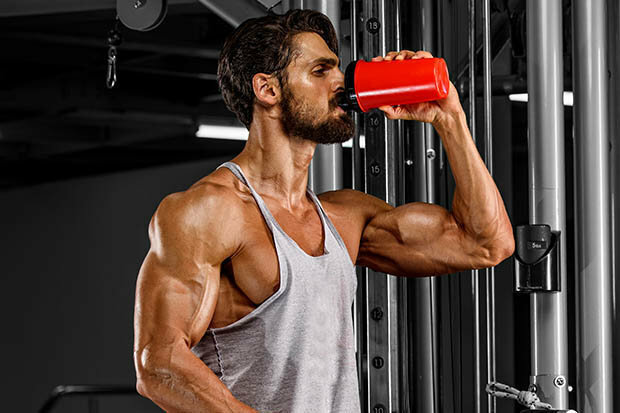 That’s why you’ll see them chugging these protein shakes before lifting weights (to prepare their muscles) and after lifting weights (to quicken the recovery). Now technically, they don’t need to take these supplements. But it certainly gives them the advantage they need to win competitions. However, what you’ll never see (hopefully) is a bodybuilder using protein supplements as a substitute for actual food. In fact, most bodybuilders claim eating actual food is 90% of the battle! Accelerate is the protein supplement designed to help Christians learn and lead further, faster. Similar to bodybuilders, leaders use Book Briefs before and after lifting intellectual weights (aka reading books by John Owen). They use Book Briefs after as a way to refresh their memory and retain insights. (Bonus) AND they use Book Briefs during their reading (by themselves or with their discussion group) to help apply the insights to their lives. We hope our response was helpful and served to answer your question, Ryan! Please let us know if you have any further questions and we’d be happy to answer them! P.S. – Yes, we do have a book brief on The Problem of Pain by C.S. Lewis. We’ll give that to you as a gift. Download now. → we’ll answer the second question Ryan asks that proves to be the game-changer for him. So keep your eyes peeled for that! P.S. – Don’t forget — there are only 3 days until the Earlybird offer ends and registrations close for a few days as we set up regular pricing and memberships. Don’t miss it —sign up now!